MIP Global Awards 2014 Ceremony was held at Dorchester, London on March 19. 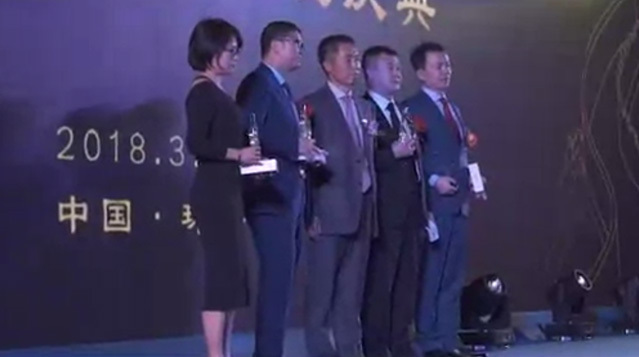 Simon Tsi and Spring Chang, founding partners of Chang Tsi & Partners attended the ceremony and received China Prosecution Law Firm of the Year on behalf of Chang Tsi. The final nomination list of China Prosecution Law Firm of the Year including Chang Tsi & Partners, King & Wood Mallesons, Unitalen, Kangxin Partners, PC and CCPIT Patent & Trademark Law Office. Five awards related to China law firm were announced during the ceremony, including: China Prosecution Law Firm of the Year 、China Rising Star Law Firm of the Year、China Contentious Law Firm of the Year、China IP transactional work and China foreign firm. Not only being awarded as China Prosecution Law Firm of the Year, Chang Tsi & Partners was also in the finalist of China Rising Star of the Year. During the diner at The Dorchester, more than 200 IP experts from 42 countries were in presence and more than 60 global awards were announced. World-acclaimed firms like Baker&Mckenzie, Clifford Chance, Bird&Bird, Hogan Lovells were all on the winning list. DLA Piper won Global Firm of the year. Founded in 1990, Managing IP, based in London, New York and Hong Kong, is the leading source of news and analysis on all intellectual property developments worldwide . MIP provided all-around professional report and legal advice to clients all over the world.